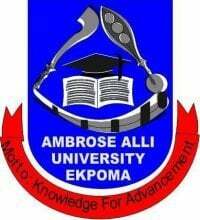 From the information reaching us, the management of the Ambrose Ali University (AAU) has released her 2013/2014 academic session pre-degree programme revised academic calendar. Monday, January 6, 2014 – Admitted student, payment of School of Fees/Registration. Tuesday, January 14, 2014 – Lecture begins while Registration Continues.